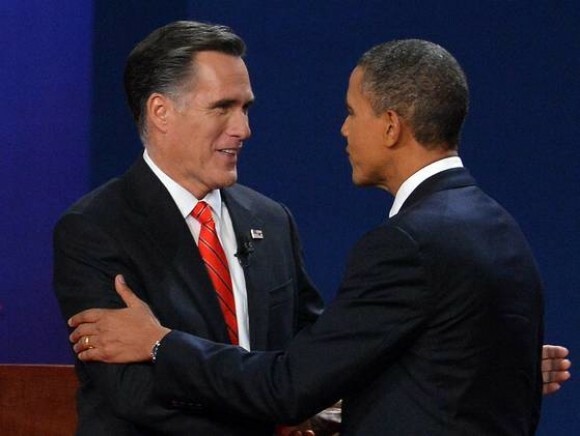 It is back to business for President Barack Obama and Mitt Romney – they are now preparing for the 3rd debate which would be held in Lynn University, Boca Raton, Florida: the subject would be ‘Foreign Policy’. Foreign policy – It may be recalled that one media had tagged Mitt Romney’s global tour in July 2012 as an ‘insult the world tour’ – it had commented that Mitt Romney engaged in ‘superiority-complex racism – and that it’s what his donors want to hear’. The whole world has seen how he handled the global tour in which he did not earn many friends – in fact, he was berated by the mayor of London for his comments on the preparations of the 2012 London Olympics. In case Mitt Romney does get elected as the president of the USA, it might put America on a lower pedestal because his immaturity on foreign affairs would embarrass Uncle Sam at every step. Foreign policy is a subject which still is a not too familiar territory for Mitt Romney whereas Barack Obama has been at it for the last four years. Therefore, one can expect furs to fly in the 3rd debate also. One would naturally expect Barack Obama to come out with flying colors in the 3rd debate – but the attack on the Benghazi consulate and the death of the US ambassador in the incident is a subject that Obama has to defend. Mitt Romney is continuously harping on the way the situation had been handled by the Obama administration and its attitude towards the attack. The subsequent confusion as to whether it was a planned terrorist attack or a spontaneous uprising of a certain group of people to protest against a video remains unresolved – such instances need to be fully examined to arrive at any form decision or conclusion but Mitt Romney is apparently does not have the patience to wait. He is happy to put the blame squarely on Obama’s shoulders. What the polls reveal – Latest Foxnews polls reveal a better outlook for Mitt Romney as compared to that of Barack Obama – while Romney is gaining ground in the battleground states, including the pivotal Ohio, Obama’s lead has reduced to 3 percent points. Moreover, Romney is also ahead in Florida. These are not good news for a President who is seeking reelection. However, polls have confirmed that voters trust Obama over Romney on foreign affairs, including the handling of terrorism – hence, this should not pose too much of a problem for President Obama. At a campaign rally in Florida, President Obama decried his adversary for shifting his positions as the day of reckoning draws near and went on to coin a new term – Romnesia. He said his adversary Mitt Romney suffers from ‘Romnesia’. Later, Mitt Romney appeared on the stage with his running mate Paul Ryan and described the Obama campaign as ‘the incredible shrinking campaign’. Obviously, no camp is willing to give a single inch of space to the other.